Christine from Yellow Owl Workshop has just put the finishing touches on a really exciting new Carve-A-Stamp Kit that I can't wait to share with you! 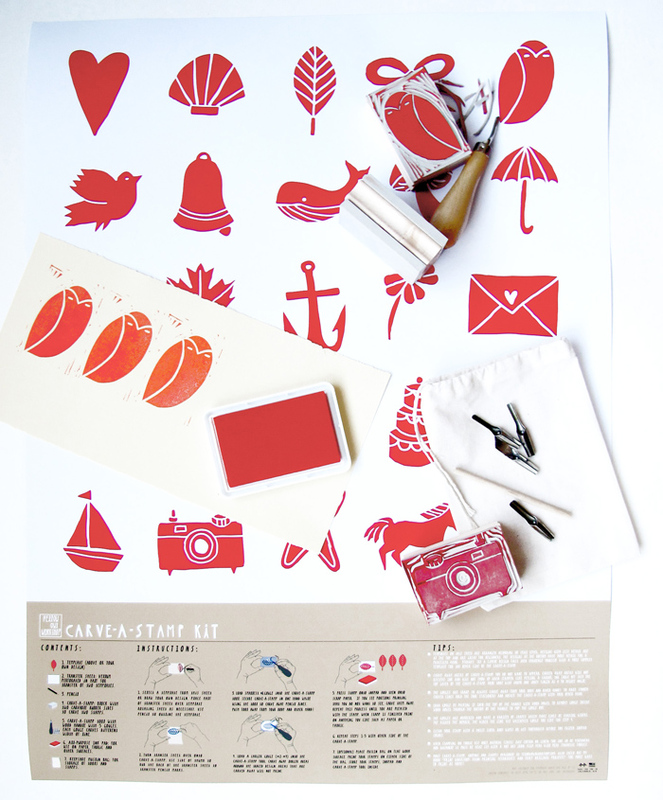 This ultimate printing DIY kit contains everything you need to carve and print your own custom rubber stamps; easy to follow instructions, 25 original templates, a carve-a-stamp block with two sides for carving, a carving tool with multiple blades, a muslin keepsake bag, and a red all purpose ink pad for printing on paper, fabric and more! Christine also put together a little stop-motion video (see below) that teaches how to make one of the stamps too! Looks so easy –can't wait to get one! 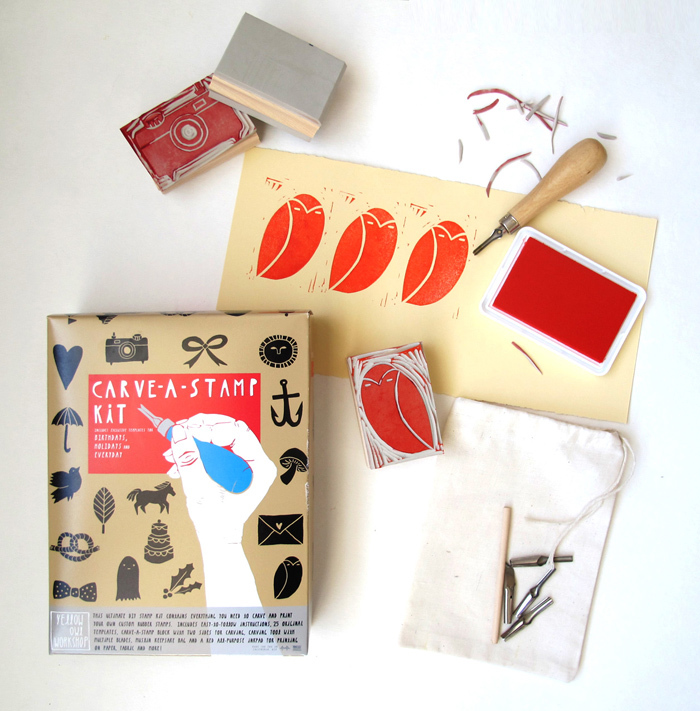 Carve-A-Stamp from Yellow Owl Workshop on Vimeo. The kit is $28 and available from the Yellow Owl Workshop website here. Thanks for sharing this Jan, this looks like a lot of fun, I know that my middle son would really enjoy this. Love this! And I totally dig the stop motion vid that accompanied it.Very cute and makes it look very easy to do! Ohhhh! I LOVE working with linoleum block! I grew up designing tamps for our Cheitmas cards each year with my mom. They are so special and so fun to make! We generally roll paint on our blocks and I love the 3d look the paint gives. Going to have to check this set out, what a perfect idea!